recommended for: Fans of Cruel Beauty by Rosamund Hodge, The Reader by Traci Chee, The Star-Touched Queen by Roshani Choksha, and other darkly vivid fantasies. Three sisters, three entwined stories. 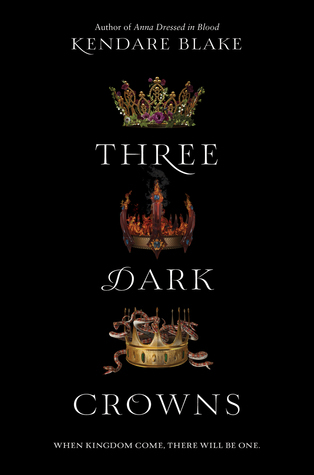 Three Dark Crowns is a darkly magical opening to what promises to be a rich, seductive fantasy series. It's very much an opening, however. See the blurb? Ignore it. It's a great blurb for the series, but it's misleading. So much of the book revolves around what happens before the big day that I felt, at first, it was moving at a sludgy pace. I was thrown off. I was waiting for the promised battle, wondering what I was missing. It was a good chunk of the book before I felt really immersed in the world, and I think so much of the slowness could have been avoided by a more accurate blurb. Even blurb aside, it begins with a spine-tingling first chapter, but it's a slow-moving, languidly unfolding book. The narration at first rotates between the three girls--Katherine, the poisoner; Arsinoe, the naturalist; Mirabella, the elemental--in relatively long snippets, so you're just becoming sucked into one perspective when you switch, and it's a while before you return. It's a truly massive undertaking, dense, perhaps too much so. Arsinoe's perspective is the strongest and most complex, while Katherine's is the weakest; sometimes I forgot about Katherine, and her romance is certainly the most guessed-at, the most circumscribed. I hope I haven't scared you off, because there's much to love here, too. It's a story that creeps up on you. Blake's prose is as tight and lyrical as it was in Anna Dressed in Blood, but with a weightier, more dramatic quality to it, befitting the change of genre. Her dialogue is often witty, often funny. Even when her characters are short-changed in amount of space they're given, their voices are distinct. Katherine's growl. Arsinoe's brusqueness. Mirabella's yearning. The side characters are just as lively, particularly Arsinoe's fierce best friend Jules. Sometimes it felt as much her tale as the queens'. I truly grew to care about everyone involved. I soon became enamored in the magic and culture of this world. The isolation of the island kingdom. The matriarchy. The wild hunt. The political strife between the poisoners and the Temple. There's something dystopian in the feel, something ancient and sinister and darkly beautiful. The more I think about this book, the more I feel the world pulling me back. I think it would improve on a re-read, and I'm certainly going to nab the sequel. I think I'm even liking it more as I write this review. I can only hope that Blake's pacing will catch up to her gorgeous writing, now that the scene is set. And the plot certainly does pick up in the second part of the book. Threads come together, schemes unfold. The adults in charge of each of the girls are constantly scheming against their rivals, while the girls themselves are each caught between being a girl and being queen. Between friends and first loves and the knowledge that they will murder their sisters or be murdered. The whole time, they're pitted against each other, fed lies about each other that the reader knows are false; talk about dramatic irony! There are assassination attempts, betrayals, shipwrecks, scheming courtiers, blood magics and deadly feasts. The brutality of this book is so alluring. And the tension is palpable. I white knuckled it through the last half. The closer it got to the day of reckoning, the faster and knottier the plot became. As the two powerless girls strove to create a deception against their rivals, as the adults' schemes unfolded and destroyed them from within, as friendships were tried and betrayed. I sometimes found the characters' motivations thin or unexplored (see Mirabella and mystery guy, what!?) but I think part of this has to do with trying to cram three really complex narrations into one story. So. Much. Happens. And the final twists? Wow. If I'd been straying at all, Blake hooked me back with her cliffhangers. It made all the initial build-up worth it. Three Dark Crowns is a slow-building, darkly alluring fantasy. will i read this author again? Yes! She's got undeniable style. will i continue the series? Yes, I'm too invested not to. I am so glad that you ended up liking it!! 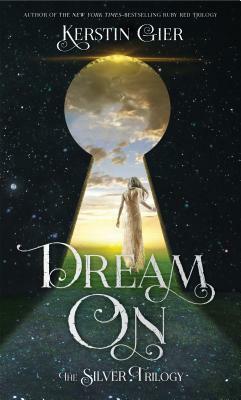 I seriously loooved the book- but like we've talked about, I totally feel you with the blurb. This is why blurbs are kind of the worst, and I try to ignore them as a rule ;) I NEEED the next book. Like, now. Great review! Haha, yeah, I think this is one where I should have skipped the blurb. I was just too confused about what I was supposed to be expecting. Yeah, I think it was just false advertising for what is actually a really good story, it just doesn't match the cover at all. I'm glad I didn't DNF it because it really grew on me. I hope you enjoy it too!